Saturday evening here at Farina’s we had the pleasure of hosting a fundraiser to raise money to help find a cure for breast cancer. Mike Hull used to be an employee here at Farina’s years ago (I am pretty sure he predates me!!) Last year he lost his mother to breast cancer and he has been fundraising for a cure ever since. We had the privilege of helping him host the Ha Ha’s for Ta Ta’s Fighting Cancer with Comedy night here on Saturday, when he first contacted us to see if we would be interested in helping it was a no-brainer. My cousin had just had a recent battle with breast cancer and I knew first hand how hard a fight like that could be. The event went great, the comedians were hilarious and I believe they raised quite a bit of money! To get involved check out http://makingstrides.acsevents.org/site/PageServer?pagename=MSABC_FY13_FindAnEvent and find out how you can make a difference in fighting breast cancer. 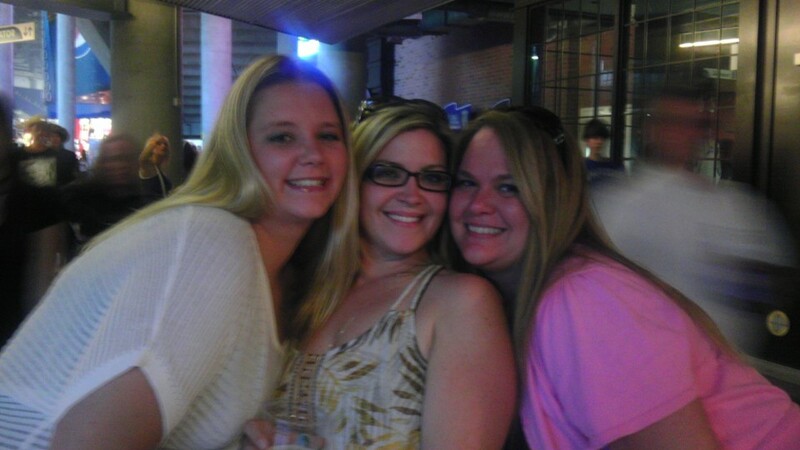 Me, Kelly and my cousin Amy. Amy’s been Cancer free for almost 4 months!!!!!! !